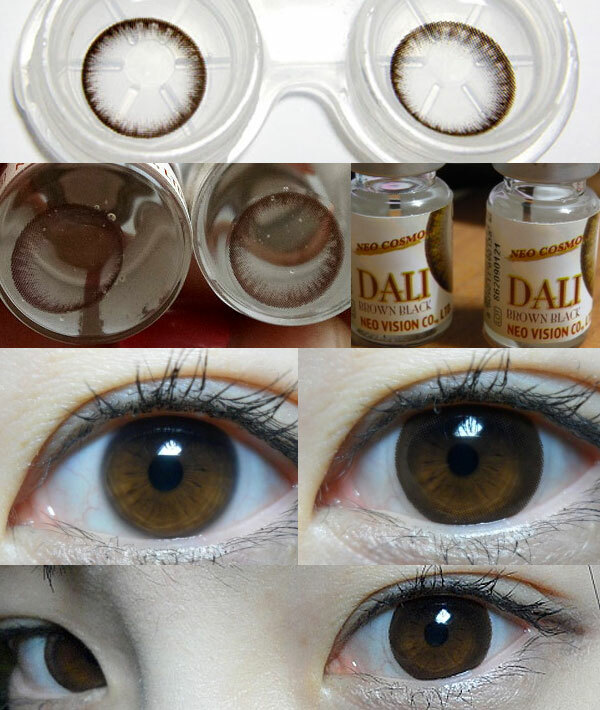 Neo Vision Neo Dali Brown are designed to blend in with natural color brown eyes, when you wear, there is no difference between natural brown eyes and the brown of Neo Dali lenses. Design for small dramatic upgrade to your natural eyes! These lenses are my absolute favorite pair of lenses to wear. It's super comfortable and I'm able to wear it for extensive periods of time with only replenishing my eyes once. It's also very natural looking on my dark brown eyes; it blends nicely and provides a subtle enlargement compared to the 15mm lenses I used before (made me look like an alien). I have purchased three sets of these because I love it so much and I would recommend it to those who want natural looking lenses as well subtle enlargement.